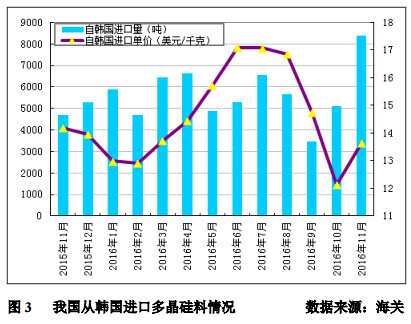 Arctic star solar PV network news: according to on issued < northwest regional power plant grid run management implementation rules > and the < northwest regional grid power factory auxiliary service management implementation rules > of notification (Northwest prison can market (2015) 28th,) provides, October 2016 and November Qinghai grid power plant grid assessment and auxiliary service compensation results completed review work, now to announced, please according to annex settlement. According to the new energy and industrial technology progress and cost reductions, reduced after January 1, 2017, the new photovoltaic onshore wind and approved after January 1, 2018, a new building benchmark price, the specific price see annex 1 and annex 2. Before 2018 if significant changes in the new onshore wind project construction cost, countries can be adjusted according to the actual situation the benchmark price. In accordance with national requirements, this reporting project by December 31, 2016 and network into, not into nation-building-scale PV project, or have been substantive work and also on June 30, 2017 and network into, not into nation-building-scale PV project (grid-connected to power grid enterprises acceptance date shall prevail). Taking into account our province’s land resources, grid access and eliminate, scale of national distribution and other factors, a single project construction in principle no more than 30,000-kilowatt. 2016 General up-scale PV power station in Anhui Province as 500,000-kilowatt, grid-connected applicants for projects by December 31, 2016, or have been substantive work and also on June 30, 2017-grid projects. According to the Hainan Province “Thirteen-Five” energy plan the photovoltaic power control set, a single pilot project construction not exceeding 50,000-kilowatt, a single scale of village PV power plant project for poverty alleviation does not exceed 300-kilowatt. Chunan well-off village of ground engineering in 29 counties, such as photovoltaic power station and centralized power plants, according to the National Energy Board issued in conjunction with common scale PV power station construction management in our province. County or town in the County as a unit, package in the provinces involved in the project competition. 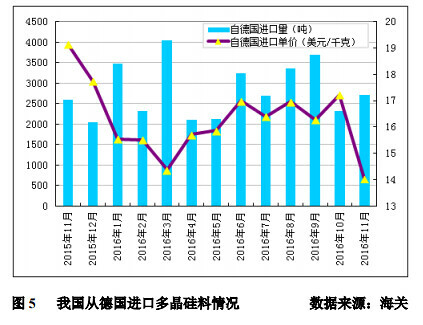 According to national energy Council on adjustment 2016 years PV power station construction scale about problem of notification (country can new can (2016) No. 383,) requirements, combined I province General PV power station construction situation, by province Energy Council Secretary Office will research, decided carried out 2016 degrees PV power station additional scale declared work, this times intends to national declared additional scale index 1 million-kilowatt, through competition way distribution. The Ministry Web site, December 22, on December 20, the European Commission published on China’s anti-dumping countervailing sunset PV products review and the findings of the midterm review disclosure documents and intend to continue anti-dumping countervailing measures imposed on China PV products, it is recommended to extend the double reverse two years. Meanwhile, cut price MIP (solar minimum price agreement). According to the latest customs statistics, in November 2016, China imports increased sharply to 13584 tons of polysilicon, rose 56.5%, an increase of 35.5%. 2016 as of November, the cumulative imports reached 125798 tons, an increase of 18.2%, the average monthly import volume in 11436 tons. Over the years, “West to East” are the main Western region power delivery channel. Insiders told reporters that under the current economic downward pressure, overall electricity demand declined in the eastern region, which makes East West power there are a slow dissolve. The next few years, including new energy, such as solar electricity delivery in the West will be gradually reduced, this will adversely affect power cracked up light in the Western region. So, large photovoltaic power plant in the Western region will go from here? 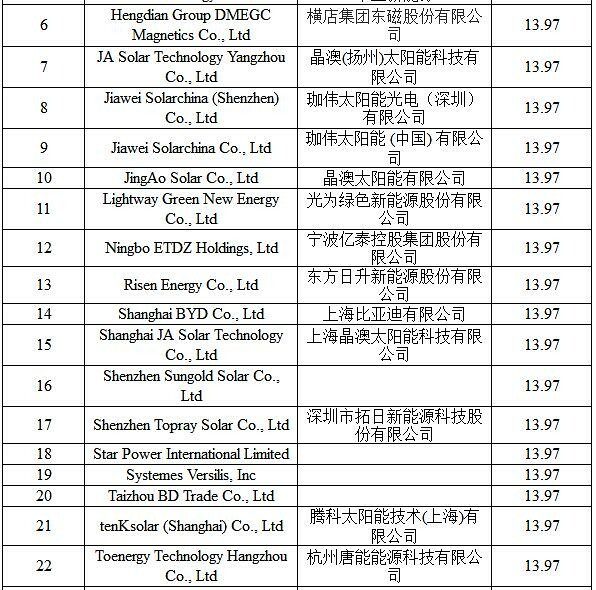 To strengthening I district PV power engineering quality management, guarantee PV power market of Health ordered development, I Board released has on collection 2016 degrees Beijing yanqing district distributed PV power project alternative products directory (second batch) of notification, by Enterprise voluntary application and third party institutions on application information of strictly review, now will meet conditions of 10 home component Enterprise, 42 species component model; 6 home inverse variable device enterprise, 16 species inverse variable device model (see annex) be announced. A few days ago, kuangda technology announced that in order to comply with the company’s strategic transformation and development needs, companies wholly-owned subsidiary Quantm new energy investment limited with the relevant parties signed the framework agreement on investment. Company not expected to exceed 400 million yuan of investment, acquisition-related company equity intervention vehicle micro-motor production and sales areas. Two major car makers Panasonic and Tesla announced on 27th, both sides have decided that from next year in the New York State factory production of photovoltaic cells and modules. 3. Tesla wants to Dagan in 2017, a SolarCity drag? Recent news that, though Tesla in 2017, new car program appears to be flat, and has a super battery plant is put into operation and automatic driving feature further improved, but it still faces a number of potential problems, for example solar energy provider SolarCity. Shanghai Electric’s announcement, company with Shenhua group and ManzAG “the technology of Copper-Indium-Gallium-Selenium” to cooperate. Intends to establish Shenhua (Beijing) Shenhua Chongqing technology and thin-film solar photovoltaic technology co., Ltd.
United States PV installed capacity up to 4.143GW in the third quarter (which California installed more than 1GW), compared to 99% for the second quarter of this year, compared to last year’s third quarter growth as high as 191%. This is United States history quarterly PV installed capacity record-one for every 32 minutes on the completion of the 1 MW of installed capacity. First quarter to the third quarter of 2016, PV installed capacity accounts for America’s new electricity installed capacity of 39%, second only to the capacity of natural gas increases. Denmark Pure&BetterEnergy renewable energy developers in the latest cross-border sale of a 20 MW solar photovoltaic generation capacity costs of 12.89 Denmark CZK/MWh, solar power price competitive in Europe. Ethiopian Ministry has announced that in 2017, Ethiopia will launch a number of renewable energy projects, accumulated over 5000 MW of installed capacity. Network query, Jincheng city, master Sun power company again in 2016 is inclusion of the Supreme People’s Court, “lose the trust of the people” list. Under the Jincheng City Bureau of science and technology on the PV for the record companies to strengthen integrity in the management of “has been classified as a local photovoltaic products for the record companies, break records again in the course of business, permanently cancel the qualification of PV for the record company” requirements, through research, from the date of notification issued to cancel the company’s local qualification of PV for the record companies. 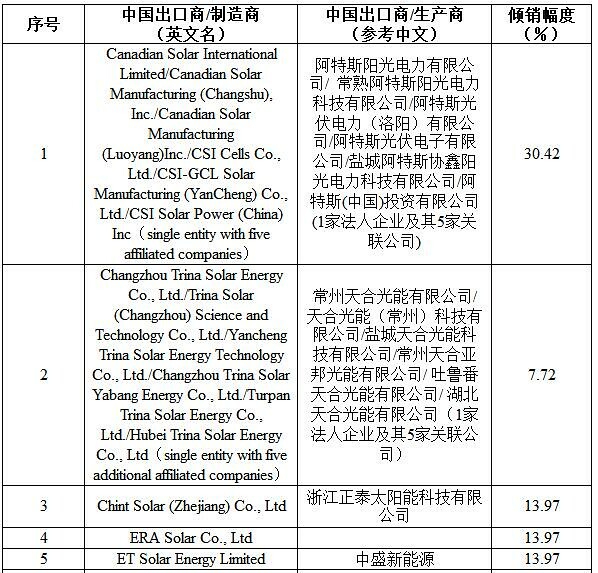 Our purchased Shuo Sun photovoltaic components but not invoiced by the user before the end of January 2017 to master sunshine power company invoicing. Polaris solar PV net news: it is often for wind power and PV costs compared with conventional energy sources, compared to the cost of wind power and photovoltaic itself is the kind of situation? According to Bloomberg new energy finance, including China, India, and Brazil, in 58 developing countries survey, as of third quarter of 2016, investment in solar photovoltaic projects in these countries the average asking price is $1.65/w, while wind power project investment offer for an average of $1.66/w. Solar investment cost only a wind twice times 5 years ago, is now just below the wind for the first time, it is a historical leap. Of course, the above data statistics in 58 developing countries, but only for investment investment cost per watt. If you look at the whole life-cycle cost (LCOE), wind power equipment utilization rate is generally higher than solar, wind power cost is still lower than the PV. For example in the United States, the current wind turbine cost range 3.2-6.2 cents/kWh LCOE, while large terrestrial PV LCOE costs range from 4.9-6.1 cents/kWh. Original title: 2016 solar investment cost of developing countries for the first time below the wind! 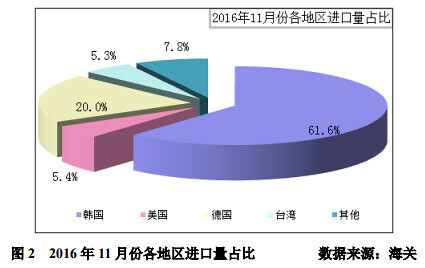 Polaris solar PV net news: (reporter Wang Shasha) on December 28, the official notice of the national development and Reform Commission in 2017, photovoltaic one to three categories of resources to new benchmark of new power stations price adjusted to 0.65 per kilowatt hour, 0.85, 0.75 Yuan in 2016, down 0.15, 0.13 Yuan, 0.13 Yuan, respectively. Although the official notification was not distributed, but in the interpretation of the price clearly distributed in photovoltaic subsidy does not adjust, proceed to 0.42 Yuan per kWh up standards in the country. This means that policy continues to guide distributed ground station than subsidy cuts in succession, country, fill, fill overlay fill, and even distributed PV counties make up “money scene” more attractive. For now, of course, distributed PV in China is still seeking a mature business model, slow the development process, and to beware of a lot of impact on power grid. Solid in Jiangsu Dewei power technology Corporation General Manager, min, along with the falling cost of storage, distributed PV + energy storage will become the future mainstream form. According to the national development and Reform Commission, the National Energy Board had previously released the power development “Thirteen-Five” programme, the “Thirteen-Five” period, distributed PV scale in China is more than 60 million-kilowatt, that is, each of the next five years will be about 10 million-kilowatt distributed machine. Market vision to realize key benefits. “PV &dot; science and technology &dot; the future” Forum, the new dimensional intelligent power engineer Wang Shujuan, distributed PV project benefits and policies, quality, safety, cost and energy efficiency are at stake, especially as policy-oriented industry, pricing policies around the PV project direction. Distributed solar projects are “spontaneous use, more than power” and “full Internet” mode. Spontaneously their own price (Yuan/degree, the same below) = base price +0.42+ local subsidies, over power price = desulfurization of coal-electricity price in the local +0.42+ local subsidies; and the full price is benchmark price. Shujuan Wang introduced, according to the market-based price minimum is about 0.5 Yuan, up to 1.5 Yuan, desulfurized coal-electricity price of 0.25~0.45 Yuan, then spontaneously use receipts =0.5~1.5+0.42+ local =0.92~1.92+ local subsidies subsidies, the more power return =0.25~0.45+0.42+ local =0.67~0.87+ local subsidies subsidies. By this calculation, 2017 “spontaneous use, more than power” mode income is clearly higher than that of full Internet access 0.65, 0.75, 0.85 Yuan/degrees, gradually eastward bias that explains solar pattern distributed the root cause. Full Internet access, compared with solar subsidy cut, and leave light risk to project, Wang Shujuan stressed that “spontaneous use, more than power” mode of distributed PV project risk is low, mainly because user electricity price cut, and charge problems faced by industrial and commercial projects, high-credit users will compete for the object. Electricity price subsidies, photovoltaic equipment, PV system design, proper operation and maintenance is the key to protection distributed PV projects. Distributed outside storage industries is recognized as the industry’s other big potential markets. Starting from the second half of 2015, PV inverters in particular enterprises have started to raise energy. This area is photovoltaic power output of large stochastic volatility, reliable grid energy storage system on the other, with open electricity market reform in power, photovoltaic grid-connected and added storage will not only solve problems and build new business models. BYD introduced daixiangjun, Director of product development for energy storage, 2024-storage system investment in 2016 will be increased on the basis of 6 times to $8.2 billion, global storage system capacity will be about 45 million-kilowatt. Energy storage device’s core market of the future will be Japan, and India and the United States, China and the five European major markets that account for 71% of global energy storage devices by 2014. “However, prices do not accept it, value is not reflected. Energy storage industry is at this stage. “Germany TÜV Rheinland Group greater China General Manager Li Weichun said. And observations from the international market, battery storage with the roll out of home market in rapid decline. Media reports in Australia, “PV + Tesla batteries + power” supply cost is slightly lower than from grid electricity purchase with “solar + energy storage” can basically meet the demand. Lu Jinjun, Deputy Director of solid Dowell Research Center pointed out that household storage system within Germany, and Japan and the United States, and Australia and other markets developed rapidly, except that it can save electricity, a main driving factor is subsidies. Focus on the domestic market, Lu Jinjun family of six villas in Beijing as an example, if Wei energy storage devices, equipped with solid +SEMSHome home energy management system, can save electricity more than 3,400 Yuan a year. In his view, with the opening of electricity markets, distributing + storage advantages will be more prominent, broke out looks forward to future energy storage in support of national subsidies. First to standardize the PV market development and construction order in our province, optimizing the allocation of resources, in accordance with the national development and Reform Commission and the State Energy Board on improving the PV scale management and ways of introducing competition to configure the project’s guidelines (the change in energy (2016), 1163th), these measures are formulated. Second common PV power plant project, not including photovoltaic power generation led technology demonstration bases, PV poverty and fixing roofs, walls and subsidiary sites construction of photovoltaic power generation projects, as well as all the spontaneous use of PV power plant project on the ground. PV third ordinary competitive allocation (hereinafter referred to as competitive allocation) optimally. Optimization work according to law compliance, follow the open, fair and equitable, mature early work priorities, comprehensive utilization of resources, technology and efficiency priority principle of priority, out scoring. Fourth article participate in optimization of project should provides related information and annex, including record file, land, and planning, and water, and flood control and power, sector reply views, land (woodland, and water) rental agreement, enterprise performance qualification,, and since score table, and related proved material, (involved completed engineering volume of also needed provides construction contract, and funds paid voucher,) and stamped Enterprise seal. Project documents in triplicate. Article fifth project comprehensive use of resources, the implementation of programmes should be technically and economically feasible. Complementary projects should provide agricultural construction programmes and agricultural cooperation and company-related information; fishing light complementary projects should be made flood control evaluation approval sites should avoid the wetland protected areas such as national building area; Lin Guang complementary project woodland approvals should be obtained. Article sixth project should contribute to regional economic development, to improve the efficiency of land utilization, to technological progress and cost reductions, and conducive to the healthy and sustainable development of the photovoltaic industry. Seventh optimization score work includes price assessments, project evaluation, programme evaluation, project implementation performance evaluation and enterprise’s investment evaluation in five parts, a total of 100 points; a separate plus and minus points. 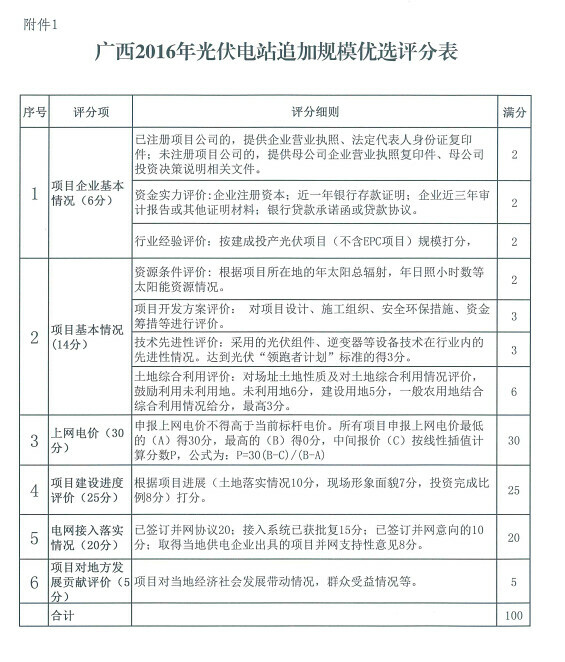 Specific content of Hunan province, described in the PV power plant project selection criteria form (annex 1). Article eighth Hunan provincial Commission of development and reform (energy Bureau of Hunan province) (hereinafter referred to as provincial development and Reform Commission (energy), according to the State’s general annual PV power station construction, organize annual selection of construction project work. Nineth all municipal development and reform Department in accordance with unified work arrangements and organization in each County (city, district) the first instance of enterprise reporting projects and data, ensuring the authenticity of items and information, and filter after sorting the project submitted to the provincial development and Reform Commission (energy). Tenth provincial development and Reform Commission (Department of energy) to collect project commissioned a third party review. Third parties strictly in accordance with the standard, project materials and business self rating score, fill out the score sheets (see annex 2), and issue a written review comments. 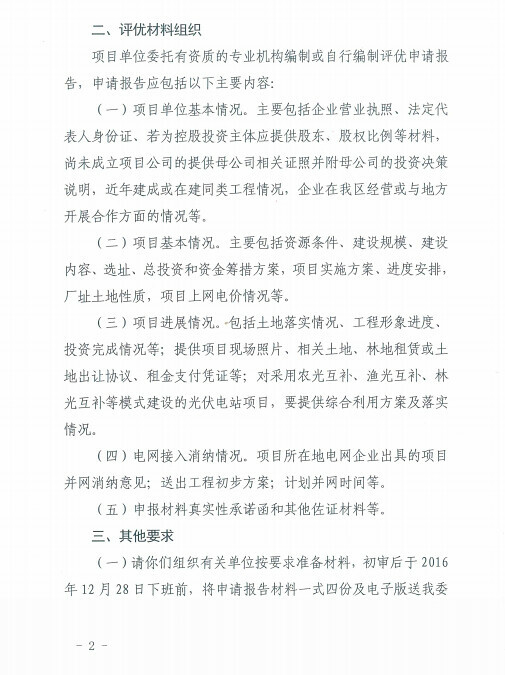 Article 11th party delegate from Hunan province to assess institutional repository “(new energy) professional” selected according to the requirements and related costs paid by the provincial development and Reform Commission in accordance with the relevant provisions, no unit or individual is allowed to collect any fees for any reason. 12th provincial development and Reform Commission (Department of energy) to third party written comments submitted to the Director of the provincial development and Reform Commission Office will focus on the consideration, considered by the provincial development and Reform Commission after the portal site published. 13th provincial development and Reform Commission (Department of energy) based on the review comments and the results of publicity, building scale into specific projects, formation issued annual construction programme. 14th optimization work organized by the provincial development and Reform Commission (Department of energy) Disciplinary Committee monitored and subject to public supervision. Clause 15th annual implementation plan of the project should be implemented strictly in accordance with the National Energy Board on renewable power generation project notice of information management (new 358) require, in the National Department of energy renewable energy generation project management information management platform. Clause 16th annual implementation programme project investors, shareholders and equity, as well as building size, building site construction shall not alter. As adjusted due to mergers and acquisitions, in the same Division of labor within the Group and other reasons, the need to change investment or equity, shall be governed by the relevant provisions of the strict implementation of change. Clause 17th annual implementation programme projects, shall, within the prescribed period a substantial construction. Project a substantial pile of construction engineering based, bracket, switching station (distribution) building. 18th provincial Department of energy project construction progress schedules and site inspection carried out on a regular basis, without conditions, failing to start the construction building and construction projects lag adjusted in due time, recover the construction scale of adjustment for other work or work more to improve the project in the early. Correlation of increased construction work shall conform to the provisions of these measures. 19th energy regulator to implementation of project construction supervision. 20th article of the approach will be based on national and provincial policy changes improve in due course. 21st article this way by the Hunan provincial development and Reform Commission is responsible for the interpretation. 22nd article this way come into force on the date of promulgation. A total of 100 points, a total of five items; a separate plus and minus points. Commitment than nationally determined benchmark price for photovoltaic power generation Internet of our province, decreased 0.01 Yuan/degree, 5 points. Up to 25 minutes. 1, the project shall obtain land, planning, environmental protection, forestry, water conservancy and electric power sectors reply comments. Among them, the corresponding approval of the competent departments of the planning, environmental protection, and 2 points, respectively; access to land, forestry, water conservancy and power access to the approval of the competent departments, such as, respectively, 5 points. 2, signed a land (forest, water) formal agreement of lease contract and an advance of the rent or a security deposit (6 points); just sign the formal rental contract agreement but not paying rent or a security deposit (3 points), owned land (forest, water) ownership certificate (6 points). This does not repeat points. Projects need to have relevant qualification project implementation plans prepared by the design unit, includes project profiles, company profiles, technical programmes, economic analysis, comprehensive utilization of land, major progress was made in the performance, commitment, and so on. Nong Guang, Lin Guang complementary projects. Component design and installation of high agricultural and forestry planting and spacing to achieve technical requirements (5 points). Set up agriculture, forestry companies, or formal agriculture, cooperation agreements on forestry and agriculture, forestry programmes (10 points). Yue Kwong complementary projects. Component design and installation height and distance to reach aquaculture technical requirements (5 points). Establishment of fish farming companies or sign an agency contract (5 points). Preparation of flood control evaluation and approval by the competent departments (5 points). Use of hills, slopes, beaches and unused land, wasteland and other ground station (10 minutes). This does not repeat points. Main equipment selection in the project implementation plan explicitly intends to select PV modules and grid-connected inverters should meet the standard conditions of the PV manufacturing industry relevant technical product specification requirements (5 points) and other advanced technologies (3 points). Commitment into implementation programmes within 2 months after commencement of project construction and grid-connected power generation that year (7 points), committed to projects in the implementation of programmes within 3 months after construction and grid-connected power generation that year (5 points). 1, the project location or poor villages in poor counties, “green counties”, green energy demonstration, plus 2 points. 2, the project has substantial work, including pile foundation construction, substation construction and construction support, 10 points. 1, have been incorporated into our province in 2014, 2015 and 2016 PV implementation programmes but did not start the project of enterprise total minus 10 points. 2, data falsification, privately scalping indicators of irregularities, such as outright cancellation of award eligibility. Polaris solar PV net news: on December 22, 2016, the United States Department of Commerce announced that, on Chinese imports of crystalline silicon photovoltaic cells (Crystalline Silicon Photovoltaic Cells,Whetheror Not Assembled Into Modules) of antidumping administrative review preliminary, Preliminary ruling: (1) 7 concerned during the administrative review no review during the survey period (companies listed in Schedule 1) and (2) 26 enterprises (companies listed in Schedule 2) separate tax applicable to 7.72%~30.42% and (3) 3 enterprises of Jiangsu photovoltaic technology limited (Jiangsu Sunlink PV TechnologyCo.,Ltd. ), Ningbo Hisheen ElectricalCo ., Ltd. and Shenzhen Rui industrial company limited (Shenzhen Glory IndustriesCo.,Ltd.) for failing to submit separate rate application or prove that it applies to 238.95% of Chinese general tax rates. Products involved United States harmonized tariff number 8501.61.0000, 8507.20.80, 8541.40.6020, and 8541.40.6030 and 8501.31 8000. 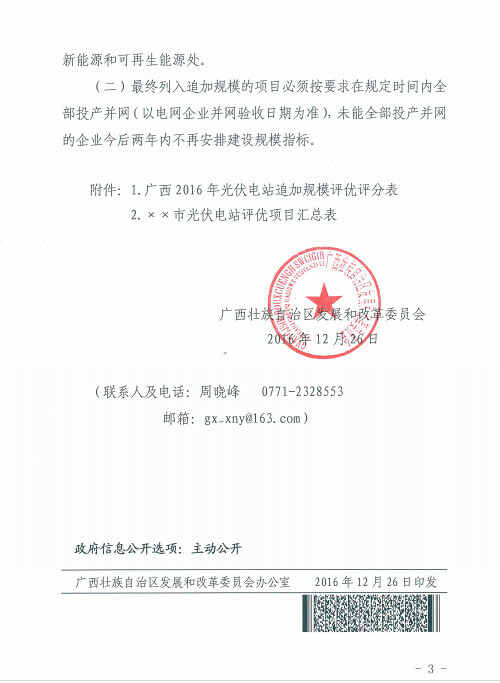 The administrative review investigation period December 1, 2014 to ~2015 November 31. November 16, 2011, United States Department of Commerce issued a bulletin on crystalline silicon PV cells imported from China started anti-dumping investigation. On May 25, 2012, United States Department of Commerce issued a bulletin on Chinese imports of the products in connection with anti-dumping anti-dumping early layoffs by delay final affirmative initial award and emergency time, on June 25, after amendments to the preliminary results. On October 17, 2012, the United States Department of Commerce announced anti-dumping against Chinese imports of products made in connection with final and emergencies must be final. On December 7, 2012, the United States Commerce Department issued a bulletin to modify final results and enact anti-dumping tax. On February 9, 2016, the United States Department of Commerce issued a bulletin on Chinese imports of crystal silicon PV cell starts the third administrative review of anti-dumping investigation. Polaris solar PV net news: solar panels are gradually changing our approach to energy access, especially when considering self-powered next-generation housing, in order to achieve this dream, researchers worldwide are actively trying to use additive manufacturing technology to optimize the production of solar panels. This includes a team of Australian research team of 50 scientists. The team of Australian scientists in the past few years have been developing an organic 3D printing paper-thin solar panels, it can even provide energy for an entire skyscraper. Developers want to be able to in the near future, with low energy as a starting point towards the commercialization of this new type of device manufacture. This technology can effectively reduce dependency on traditional energy sources in developed countries, meanwhile, can also provide developing countries with an economical and viable source of electricity. Unlike traditional solar panels is, these solar cells can include paper glasses and roofs are printed directly on the actual housing location. In addition to use in large buildings, developers have tried to use these units for small objects, such as bodacious iPad. If this vision can be achieved, then the surface of the iPad, laptop backpacks and cell phone case will not only serve as a package, they also function as energy collectors, provide power for these removable devices. Currently researchers use 3D printer has been successfully improved solar ink each organic solar cell unit is reduced to the size of a coin size, this solar cell paper is very cheap, and ways of working with traditional silicon based solar panels are different. The University of Melbourne and Monash University, consisting of cooperation agencies have even begun thinking about how to apply this technology to the world with almost no electricity in remote areas. Next, the researchers hope to get support from the Government, and to extend this technology to public places. Original title: “paper thin” 3D printed solar cells, have you seen it? First, from the Korea imports reached record levels. November 2016 Korea imports reached 8366 tons, substantially increased 63.7% per cent, the share of total imports reached an unprecedented 61.6%. 1-November accumulated from Korea imports 62947 tons, 50% per cent of total imports, remained among the imports in the first place. November from Korea monthly imports close to total imports in October, Korea’s exports surge, is due November lower demand warmer than in October, along with increasing demand for imported raw materials, so Korea polysilicon plant in October due to weak demand before the backlog of inventory in November, flooding the domestic market. The other hand, Korea silica material factory in Korea poly influence midterm review, set up trading companies in China in advance, advance clearance, in time for the determination of production and inventory exports to the Chinese market. Second, the United States imports increased. November 2016 from United States imports increased to 733 tonnes, representing a 154% per cent. From July 2015, the United States due to “double” rate and the “suspension of processing trade measures” strictly impact poly export to China blocked from the United States months percentage of imports plummeted, lowest to 0.1%, but increased again in November to 5.4%. In November from the United States by way of processing trade imports was 645 tons, 88.1% per cent of total imports for the month, today 1-November from United States imports 4219 tons, by way of processing trade imports accounted for 89.9%, by which it adopted “bonded warehouse” entered at 90.8% per cent. Third, from Germany import prices low. November from Germany import prices fell to us $14.03/kg, or 18.5% per cent, a record low. November from Germany import polysilicon 2711, 20% per cent of total imports, increased 16.5% per cent. From Germany import prices fall sharply in November, associated with the demand for imports in October has yet to be restored, Germany imported polysilicon are generally lag of a month or so, the demand for more domestic recovery slower, so Germany import prices, but because of Korea and the United States has a different degree of rise in import prices in November, prices also rose slightly, the chain or 3.8%. According to country-specific import data show that imports in November totaled 13584 tons, from Korea and the United States, and Germany, and Taiwan four imported 12525 tons, accounting for 92.2% of the total imports. November from Korea imports 8366, 61.6% per cent of total imports from United States imports of 733 tons, 5.4% per cent of total imports from Germany is 2711 tonnes were imported, accounting for 20% of the total imports from Taiwan was 716 tonnes were imported, total imports of 5.3%; imports of other parts of 1059 tons, accounting for 7.8% of the total. November 2016 from the Korea import polysilicon 8366 tons, substantially increased 63.7% per cent imports price rose to 13.64 dollars/kg, or 12.4% per cent. November 2016 from United States imports of 733 tons of polysilicon, the chain increased substantially by 154%; unit price of imports in November rose sharply to $21.80 per kg, per cent decline to 117.6%. November 2016 from Germany import polysilicon 2711 tons per cent increase 16.5% November innovation of import price as low as US $14.03/kg, or 18.5% per cent. According to customs statistics show that in November 2016, China poly silicon exports to 308 tons, increased 86.7% per cent in January-November, 6915 tonnes, down 1.5%. According to the new energy and industrial technology progress and cost reductions, reduced after January 1, 2017, the new photovoltaic onshore wind and approved after January 1, 2018, a new building benchmark price, the specific price see annex 1 and annex 2. Before 2018 if significant changes in the new onshore wind project construction cost, countries can be adjusted according to the actual situation the benchmark price. Released prior to this new benchmark year new onshore wind power pricing policy is no longer performed. Photovoltaic power generation, onshore wind power price new benchmark coal price on the ground (including desulfurization, denitrification, dust price) within part of the settlement by the local provincial power grid; higher parts be subsidized through the national renewable energy development fund. Offshore wind energy projects to non-tender, distinguish between offshore wind power wind turbine and intertidal two types determines price. Offshore wind power project benchmark price for 0.85 Yuan per kWh, wind power projects in the intertidal benchmark price of 0.75 Yuan per kilowatt hour. Offshore wind power price new benchmark coal price on the ground (including desulfurization, denitrification, dust price) within part of the settlement by the local provincial power grid; higher parts be subsidized through the national renewable energy development fund. Established around the State encourages competition in the market, such as through public bidding photovoltaic power generation, onshore wind power, offshore wind power and other renewable energy project and price, but through market competition means shall not be higher than the price of State-mandated similar resource areas of photovoltaic power generation, wind power, offshore wind power on land benchmark price. Public bidding market competition determine prices, new benchmark coal price on the ground (including desulfurization, denitrification, dust price) within part of the settlement by the local provincial power grid; higher in part by the national renewable energy development fund to be subsidized. The new energy power generation and grid enterprises must be true and complete record and keep the electricity generation project Internet trading, pricing and subsidies, information, receive relevant departments of supervision and inspection. Pricing departments at all levels should strengthen the new energy price execution and clearing regulatory fund subsidies for renewable energy development, and urged the relevant price policies in place. The implementation with effect from January 1, 2017. List of businesses in the region to seriously study all the contents of the file, prepare application materials according to the requirements of eligible enterprises. 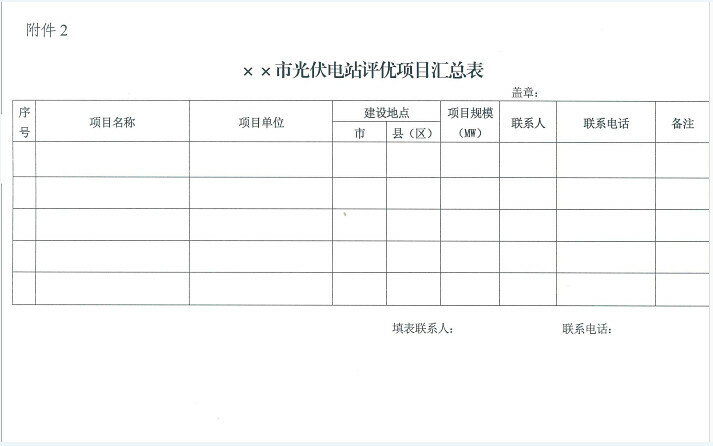 All original application materials please to report back by December 29, 2016 free trade zone management Committee of development and reform Bureau (airport economic zone West, 166th), electronic documents and submit the relevant materials (reporting instructions, schedules and related accessories seal hair color PDF scan), is not reported within the prescribed, submit materials incomplete, does not meet the reporting criteria shall not accept it. 3, has been part of the scale index but there are still gaps in the project could be involved in reporting. 1, the project has been completed for the record and provide the registration certificate and project investment Declaration and registration must be consistent. Letter of commitment 2, Enterprise (seal and affix the corporate seal, annex 2). 3, the project has been provided by the enterprise and network into (need to provide grid company incorporation certificate issued by the material and my grid-approval documents issued by the Council) or substantive work of relevant supporting documents, and the host city, State, County (City) development (energy) Department and stamped. Declare additional size does not exceed 4, a single project 30,000-kilowatt (grid without the scale indicator and has been part of the scale target projects). Number of projects of the same enterprise or group to declare no more than 3. 5, municipal, State development and Reform Commission (Energy Council, ban) filing statistics of 2016 and the up-scale PV power station project proposals (see annex 3). Competitive distribution network into the project and has started substantive principles. Electricity price and construction schedule of the project as a key evaluation factors and other competitive distribution points. 1, price bids 50 points, does not set a minimum price. Benchmark price for all declare competition of enterprises in the project promises a minimum electricity price. (3) provide documentation related to substantive work by the host city, State, and County (City) development (energy) recognized by the seal of the Department, with 20 points. 3, plus 10 points. In October this year a competitive selection, give up some size indicators of enterprise reporting projects. Individual item score = base price/corporate commitment of project price + x50 + construction schedule score extra points. (A) the city and State development and reform (energy) Department to seize the organizational enterprise reporting projects. Each enterprise must fully consider the PV cost reduction and light resources in our province’s actual situation, reasonably determine competitive prices. All grid-connected enterprises committed to project completion time, must fully consider the construction schedule of the project, the project cannot be completed within the stipulated time, according to documentation requirements, will not be able to get the scale indicator, invites companies to fully take into account the risk of project construction. (B) in accordance with the requirements of the national energy administration, more than State-scale construction projects in the future, are not allowed into the scope of State renewable energy development fund subsidies, resulting losses borne by the enterprises themselves. Development and reform (energy) sector good business risk. (C) city, State, and County (City) development (energy) sector to projects built or substantially started strict audit checks. For failure to record, start or before June 30, 2017 no grid connected projects, shall not be included in the declared scope. (Iv) transfer, resell and alter the content of the enterprise, once discovered, disqualified to compete will be while cutting the size of their index. (E) requested the municipal, State development and reform (energy) Department will declare the project summary document submitted to the Bureau. Application deadline: December 28, 2016 on 12:00, late is no longer accepted. Provincial Bureau of energy will, in accordance with the relevant provisions, third party organizations to carry out competitive selection of the project, and the establishment of a central organ of the authority, the authority Commission for discipline inspection, supervision of the Board comprising representatives of the Oversight Panel, full monitoring of project competitive selection. Selection of competition results the Secretary Office will be finalized and submitted to the approval of the National Energy Board, the Hubei provincial development and Reform Commission published on the portal site. 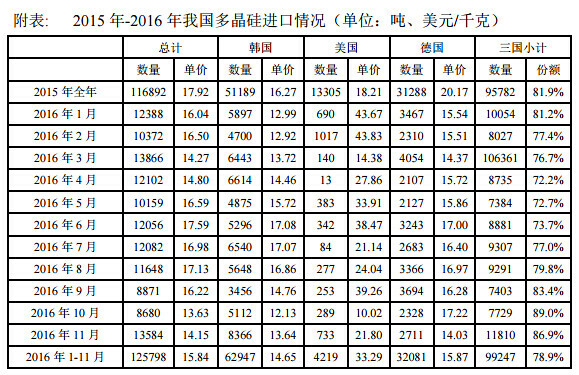 Polaris solar PV net news: national development and Reform Commission recently issued on the adjusted PV new benchmark onshore wind power notice (hereinafter “the notice”), clearly lower resource area PV power plants, onshore wind energy benchmark price. 2017 PV benchmark price than draft, distributed photovoltaic subsidy standard benchmarks on and offshore wind electricity prices are not adjusted. According to notification, January 1, 2017 zhihou, a to three class resources District new PV power station of benchmark Internet electric price respectively adjustment for each kWh 0.65 Yuan, and 0.75 Yuan, and 0.85 Yuan, than 2016 electric price each kWh cut 0.15 Yuan, and 0.13 Yuan, and 0.13 Yuan, but more initially of sought views draft proposed of each kWh 0.55 Yuan, and 0.65 Yuan, and 0.75 Yuan, standard slightly has improve. Tibet Autonomous Region, benchmark price is 1.05 Yuan/kWh photovoltaic power station. After January 1, 2017, included in the annual financial subsidies management scale photovoltaic projects, implementation of new benchmark 2017 PV price. Before 2017 for the record and included in prior years financial subsidies scale PV legal project management, but has not yet put into operation before June 30, 2017, implementation of the 2017 benchmark price. Future solar benchmark price based on cost variation adjustment once a year. After January 1, 2018, one to four categories of resources approved new construction of onshore wind power benchmark prices adjusted for each kWh 0.40 Yuan, 0.45 and 0.49 Yuan, 0.57 Yuan, electricity price per kilowatt hour than 2016-2017 by 7 points, 5 points, 5 points, 3 points. To continue to encourage distributed PV and wind power development at sea, distributed photovoltaic subsidy standard benchmark price does not adjust on and offshore wind. Meanwhile, greater play to the role of market price formation, around the circular encouraged continued through bidding competition to determine all kinds of new energy sources such as project owners and price. Appropriate cut solar power plants and wind turbine on land benchmark price, will help reduce the energy subsidy funding pressures. According to the photovoltaic, wind speed measurement, 2017 new benchmark PV prices decline, the demand will reduce PV subsidies each year some 4.5 billion yuan 2018 onshore wind power prices are also lower, will reduce the demand for onshore wind power subsidies each year about 1.5 billion yuan, total demand for reduced subsidies each year some 6 billion yuan. PV enterprises said in an interview with reporters, finally announced the benchmark price was slightly better-than-expected, that also is seeking the views of business. 2017 by nodes continue to June 30 as the boundary means that PV installing will be more prominent in the first half of next year, demand will be slowing in the second half, upstream industry will face greater pressure. Not much compared with this year is expected to drop in demand all year round. These people also believe that the PV project tendering and bidding this year and next year as fierce, then in most parts of the actual electricity prices will be significantly lower than the benchmark price. However, the benchmark price is slightly higher than expected, bidding eased the pressure. Last week, the National Energy Board issued a story titled on photovoltaic power generation by 2016 years: notice of construction-related issues requiring provincial (district, municipal) reporting indicators added to 2016 PV demand, additional demand in the province (district, municipal) 2017 years earlier construction. Researchers believe the new energy industry, PV subsidies reduced circumstances next year, authorities allowed the provinces (regions and municipalities) PV target “deficit spending”, but also helps reduce the burden on enterprises. Polaris solar PV net news: recently, the National Energy Board issued a 2016 added reward scale PV power station 200,000-kilowatt in Heilongjiang province (new “2016″, No. 383), requires that configured before the end of 2016. 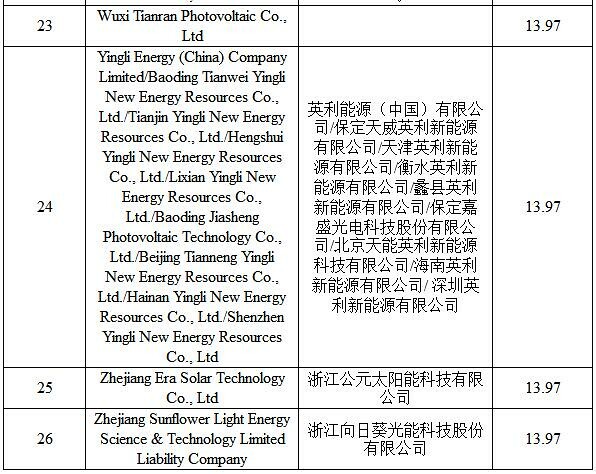 According to national development reform Board, and national energy Council on perfect PV power scale management and implemented competition way Configuration project of guide views (sent modified energy “2016″ 1163th,) file and Heilongjiang provincial government about requirements, for promote PV power Health ordered development, China International Engineering Advisory company by Heilongjiang Province development and Reform Committee delegate, through market public fair just competition appraisals for configuration, preferred select project construction investment subject, welcomes meet conditions of enterprise declared. This competition configuration total construction scale of terrestrial photovoltaic power station 220,000-kilowatt, 200,000-kilowatt added incentives issued by the National Energy Board construction, 2014, 2015 through open tender to determine PV power plant project in Heilongjiang province construction investment but could not be implemented on schedule to recover the construction scale of 20,000-kilowatt. The competition ground PV configuration-building unit size 20,000-kilowatt, enterprise may declare a maximum Project Unit 2 separate building sites, construction site in Heilongjiang province. The configuration of open, fair and equitable competition photovoltaic plant resources on the ground, by the expert appraisal of the investment main application report, determined according to the scores from high to low investment and publicity on the Web site of the Heilongjiang provincial development and Reform Committee. 1, the enterprise is in the People’s Republic of China territory legally registered, has an independent legal personality of enterprises, construction, operation, management and investment, PV power plant conditions. 2, Enterprise building land shall meet the construction requirements for photovoltaic power stations use the ground and requested by the ecological civilization construction in Heilongjiang province, the rational use of land resources, shall occupy agricultural land (including farmland, woodland, grassland, etc) and unused land in other grasslands, swamps, wetlands and flood control function for land to build terrestrial photovoltaic power project. If they fail to comply with the regulations, participating qualification will be canceled. 3, declared cross-ownership relationship between the corporate, are treated as a single enterprise application. Same unit of enterprise reporting projects more than 2, will cancel the entire Declaration project participating eligible. 4, this competition is not configured to accept more (two) joint registration of legal persons. 5, gaining ground in this competition configuration of PV power station construction enterprise, must be independent of investment and construction, and ensure the grid before the end of 2017. During the project’s construction, investment, equity ratio, building size and place of construction, primary content may not be changed, otherwise will be treated in accordance with relevant regulations. 6, and in this times competition configuration in the get ground PV power station construction scale of declared enterprise, project in June 30, 2017 Qian grid power of, implementation this times competition configuration bidding electric price; June 30, 2017 Hou grid power of, as bidding electric price below national 2017 PV power policy electric price, is implementation this times bidding electric price, as bidding electric price above national 2017 PV power policy electric price, is implementation national policy electric price. See annex 1, application content. 2, the information provided by the reporting enterprise should be real and effective and retroactive legal effect. 3, applications relating to economic and technical analysis of the content to be accurate and objective basis. 4, enterprise applications for the authenticity and accuracy of the content of the report. 5, application content crude, printing not clear lead experts cannot be screened, deducted directly in the evaluation scores. 1, report the number of copies: print 1 and 4, electronic version of the CD or USB flash drive 2. Should be indicated separately on the cover “original” and “copy”, original and replica is inconsistent with the original shall prevail. 2, the application should use the original report print or indelible ink, clear text, the meaning must be clear, relevant supporting evidence and documents shall be stamped or signed originals, and stamped by the applicant and the legal representative or authorized agent signature of the legal representative. Filing a copy of the original copy. Originals and copies of the application documents to be bound, and cataloguing, stamped with the seal of the applicant to straddle. Application report 3, alter and insert your handwriting should be avoided, in order to correct such errors must be done, it should be for the corporate seal and legal representative or authorized agent signature of the legal representative, the above modification will be deemed invalid. 4, applications for originals, all copies, electronic version of the report should be sealed separately, three coating. In the original application documents sealed in an envelope, copy all the application files sealed in an envelope, in the application documents in electronic form is sealed in an envelope, and right on the envelope marked “original” and “copy”, “e-Edition”. On the envelope should clearly state the applicant’s name and address, postal code, contact person and telephone number. Application time: December 29, 2016 8:00-10:00 (Beijing time). I appointed in accordance with the relevant requirements, 16 companies PV industry project investments, authenticity and for serious review before June 30, 2017-grid conditions, and these conditions, does not meet the relevant requirements, cancel its PV record qualification, sequentially fill in the expert evaluation order. 1, in accordance with national requirements, this reporting project by December 31, 2016 and network into, not into nation-building-scale PV project, or have been substantive work and also on June 30, 2017 and network into, not into nation-building-scale PV project (grid-connected to power grid enterprises acceptance date shall prevail). Taking into account our province’s land resources, grid access and eliminate, scale of national distribution and other factors, a single project construction in principle no more than 30,000-kilowatt. 2, and declared project should into this area PV power development planning; project owners law established, enterprise investment capacity strong, has project investment by needed of funds strength; in past project development, and operation process in the not appeared larger and the above security accident; technology advanced, model led role strong; work conditions mature, grid access and market elimination na conditions good; active participation Internet electric price competition, effective reduced PV power construction cost. This all construction scale used in all competitive allocation. Competitive integrated competition mode, competitive Commission project configuration by me, after the approval of the National Energy Board finalized and announced to the public, third party organizations in accordance with the competitive allocation of programme implementation, configuration table is contained in annex 1. In accordance with state notification requirements, this competitive allocation of programme price no lower limit to strictly control price ceiling for a significantly higher average price level of projects are not recognized. 1, declare the project through development and reform Department at the county level to districts and cities in which the project report submitted the application development and reform Department, and of the PV power plant bidding an undertaking (annex 2) and related support materials, one of the PV power plant bidding an undertaking companies fill out the required seal, unsealed by review experts, no person shall open in the middle. 2, district and municipal development and reform commissions in accordance with the unified arrangements in the province, according to relevant national and provincial requirements and standards, organization of counties (cities and districts) for accurate verification and reporting project eligibility review will meet the criteria summary of project complete 2016 PV power station project of construction declaration form (annex 3). 3, the provincial development and Reform Commission to entrust a qualified third party agencies to undertake optimized organizations within the industry experts review work. Experts in the review process shall not be contacted individually by selection object. 4, Panel under selected competitive configuration and scoring rules for each project in turn, reported scores, according to the project review level determines the winning project, issued in writing and review comments. 5, after validation, the expert review comments on provincial development and Reform Commission Portal public. Publicity after the project summary report provincial development and Reform Commission National Energy Board. 1, the city attaches great importance to the Declaration, in accordance with national and provincial requirements, do a good job of organization and implementation. To the principle of open, fair and equitable, strict project gateway, ensure reliable, no substantive work or prior to June 30, 2017 no incorporation of this declaration shall not be included in the scope of the project. 2, in accordance with national requirements, PV in our province in the future must be in strict accordance with the State’s construction scale of implementation. Since January 1, 2017, and scale nation-building project for the construction of their own, are no longer arranged construction scale, nor within the scope of national renewable energy development fund subsidies; the resulting losses by enterprises and local governments in which the project. Due to the emergency, the municipalities are requested to declare officially file before December 27 to 17 o’clock, including project application statistics (3), Enterprise, the bidding letter (stamped seal, 3 copies) as well as other binding documents (a-12) be submitted my Board; declare tables as well as other supporting material must be reported to the electronic version. All materials in city centralized reporting, my authority does not accept the prohibition on any material submitted. All are considered to be a waiver of the overdue report. This at the same time in the Shandong provincial development and Reform Commission published on the portal site, please download the related material notified by city. The County agreed, now the Quanzhou family distributed power generation and solar pilot programme for poverty alleviation issued to you, please practice, careful organization. 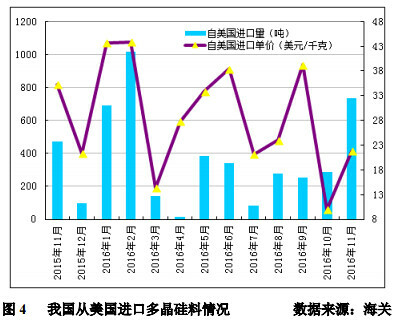 For further optimization I County energy structure, speed up I County PV poverty engineering construction, according to national development and Reform Committee, and national development Bank, and China Agricultural Development Bank on implementation PV power poverty work of views (sent modified energy (2016) No. 621,), and national energy Council integrated Division, and State poverty do administrative personnel Division on issued PV poverty implementation programme prepared outline of notification (country can fully new can (2016) No. 280,), and Guangxi Energy Council District, and Poverty alleviation Office on PV implementation for poverty alleviation programmes in our region of the notice (Mandarin new (2016), 15th) spirit, combined with the actual, implementation plan is formulated. According to the statewide County demonstration site building work in the new stage of scientific development, around the adjustment of energy structure, promoting energy conservation and emission reduction, air pollution control and urban environmental renovation as a breakthrough, encouraging households to adopt anti-poverty projects and residents to carry out distributed PV PV applications, and constantly improve our County clean green sustainable development strategy and poverty alleviation through PV solve the poor quickly out of poverty. To resolve file state incapacity the poor as one of the objectives, actively promote family distributed construction of photovoltaic power generation, implementation of cleaner energy alternatives. Boost photovoltaic application level of residents, a number of have the demonstration effect for families living in rooftop PV power generation projects. (A) the construction of distributed PV focus on poor families. Supports all types of households, consumers and investors in accordance with the vote for personal use, energy contract management building families distributed generation projects. Salt water town, Shaoxing County town, a pilot scheme, the Hua Shang by Guilin new energy organization voluntarily participate in the roof of the poor implementation of distributed solar power projects. (B) strongly supported the family rooftop PV building. Combined with “beautiful village” construction of towns and villages both residential and residential rooftop PV roof construction family, encourage focus on continuous development, advancing photovoltaic well-off construction, giving priority to encourage pig tuiyang, low-income families build the family rooftop PV. (C) improving project management procedures. County development and reform Bureau records all kinds of distributed solar power projects, distributed PV projects and town and village (community) using the collective property of distributed PV facilities into building projects can directly record individual home ownership household rooftop PV project is funded by the County for the construction of water conservancy industry limited company to register directly and centrally to the County development and reform Bureau. Registration is valid for one year. (D) improve network management and operation services. County Water Conservancy industry limited company to strengthen supporting photovoltaic power grid construction and transformation, security grid and grid-connected PV power generation projects built, at the same time. Connected to the public power grid of distributed solar power projects, the Access project and access caused the public enterprises to invest in construction of power grids in part by network; access users access project invested by the project owner. County Water Conservancy industry co to provide grid services for distributed PV to optimize system operation and priority protection of photovoltaic power generation operation, ensure that the photovoltaic grid-connected power generation projects, simplify distributed photovoltaic grid access and management procedures, publication distributed photovoltaic grid-connected power generation service processes, establish simple and efficient service system for distributed PV power generation projects free of reserve capacity and related service fees. (E) clear electricity metering and the settlement subsidy. County Water Conservancy industry limited subsidies to include county-level distributed PV PV project electricity production, electricity measurement, and statistics. And on a monthly basis to pay subsidies, State, province, ensure that the subsidy Fund in full and on time. (A) clear job responsibilities. County departments according to the Division of responsibilities for the effective implementation of policies, strengthen coordination and cooperation, and work together, solve problems and difficulties in the process of advancing, accelerate family distributed photovoltaic applications and solar poverty alleviation work. (B) strengthen financial support. Encourage banks and other financial institutions according to the characteristics of distributed PV and financing needs, increase the scale of green credits, flexible credit policies, increase family financial support of distributed solar power projects, explore project selling electricity charges right facility backed by assets and projects. This opinion come into effect December 13, 2016, interpreted by the responsible County development and reform Bureau. Polaris solar PV net news: recently, the Ningxia Autonomous Region issuing the 2016 I PV power plant project notice of trial measures for the competitive allocation, 695,000 kilowatts over the area there are 7 sections participate in this competitive configuration, supporting projects involved in the competitive allocation without considering infrastructure and agricultural projects such as poverty alleviation. Relates PV to resell Enterprise may not engage in competitive allocation. For grid-connected PV power plant project but could not have been completed on time, are not entitled to participate. 2015 configured photovoltaic plant indicators of enterprises, supporting industrial investment cannot be completed in accordance with the agreement, in principle, may not take part in.